The core of modern payment technology was established in 1970s with the emergence of the first self-service ATMs. Through technological enablement and collaboration, electronic and remote transactions became a reality by the end of the century. The third millennium saw the shift to alternative payment methods with the rise of Paypal and card proliferation. Invisible contactless transactions, digital currencies, and real-time cross-border payments that do not require a credit card became possible due to an exponential increase of computing power and global adoption of mobile devices and the Internet of Things (IoT). 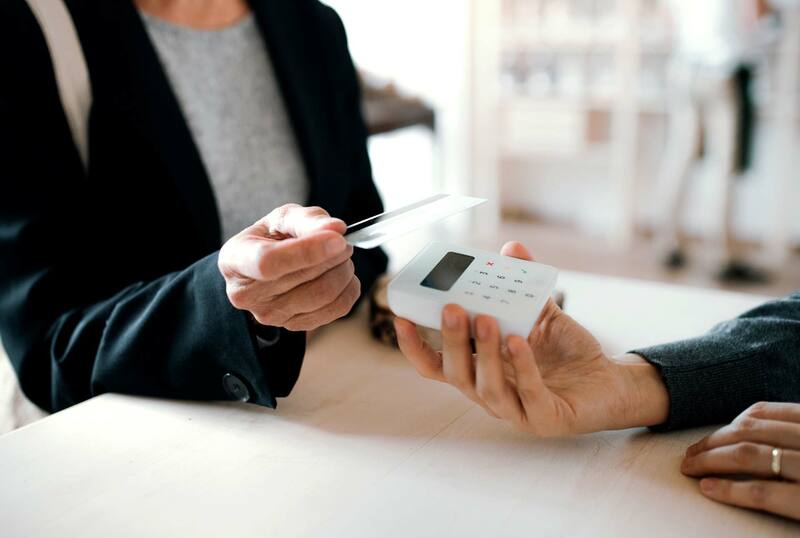 Historically, payment solutions depended on a costly and complex infrastructure to ensure reliable and secure transactions. Generic solutions did not meet the specific requirements of SMEs and offered customization options only to the largest clients. However, the recent developments in APIs and cloud technologies enabled IT vendors to provide tailor-made solutions to SMEs. These offers leverage existing infrastructure and capabilities instead of trying to replace them. The increasing number of niche players on the PayTech market offering tech solutions and competitive rates alleviates pricing pressure and benefits SMEs who can finally choose among the vendors promising the greatest value. – Initiation is the way a payment is triggered. While in the physical world payment initiation was conducted through bills, cheques, chip and pin machines, digital solutions rely on NFC, online and mobile payments, digital wallets, and social payments. – Infrastructure enables the clearing and settlement of a payment. Physical payment infrastructure required ATMs and POS terminals, while digital payments employ blockchain technology, APIs, and cloud POS. – Information records the payment details for later use. Manual reporting, paper ledgers, and receipts were the staples of physical payments, easily lost or destroyed. Digital payment data is stored and secured through the use of QR codes, APIs, and real-time reporting. Moreover, digital data can produce added value throughout multiple business processes, from accounting and marketing to inventory management. – Multiple competitive advantages, like serving international clients or offering reward programs. Overall, 85% of the businesses achieve benefits after adopting card-based systems for making and accepting payments. According to a 2015 Deloitte survey, businesses cited multiple advantages of adopting credit card payments. Critical among them are the reduced payment processing time and the number of required approvals, which caused a reduction in administrative costs. PayTech adopters also noted improvements in visibility and data reporting along with better supplier relations and an increased cash flow. 82% of the SMEs emphasized the increased speed of transaction processing which provided sellers with improved control over their receivables. Compared to a traditional purchase order process, card-based systems ensure a 1.4 increase in processing speed. Through decreasing manual intervention and enabling improved user experience, digital payment systems are three times more cost effective than the traditional process. While the purchase order processing cost of a digital system is $20, the processing cost of a traditional purchase order is $73, on average. Among the top benefits of accepting credit cards and digital payments, businesses cited less effort in reconciliation and chasing payments. Improved customer engagement and relationship were also mentioned among the critical business improvements. Real-time authorisation, quick settlement, and resulting cash flow improvement were cited by 73% of the Deloitte survey responders that have substituted paper-based payments with digital systems. Nearly half of the SMEs accepting digital payments noted the reduced cost of doing business. The savings occured because of the reduced number of manual interventions and improved reconciliation. Digital payments result in improved business outcomes for SMEs beyond the direct transaction costs. The shift away from paper-based payments ensures often overlooked advantages of automating business processes, improving transaction control, reducing the number of errors. As a result, digital payments remove the critical business constraints for SMEs by freeing up time and personnel capacity.